The couple were stabbed multiple times and fires had been set inside the house. A police spokesman initially described the woman under arrest as homeless, but later said officers were not sure. The woman, 40, had been staying at the couple's home for some weeks. 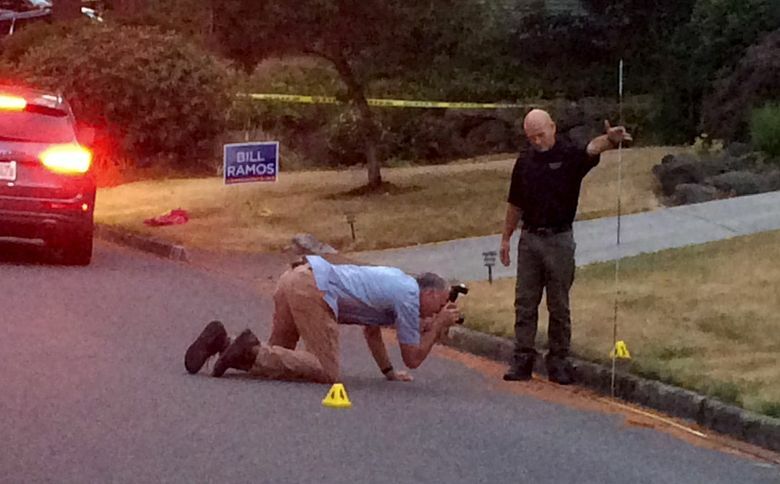 An elderly Bellevue couple were seriously wounded late Saturday afternoon when they were stabbed in their home by a woman who had been staying with them for several weeks, police said. The married couple, an 83-year-old man and a 76-year-old woman, were taken to Harborview Medical Center in Seattle, where the woman underwent surgery. By nightfall, the condition of both had stabilized and police said both should survive. 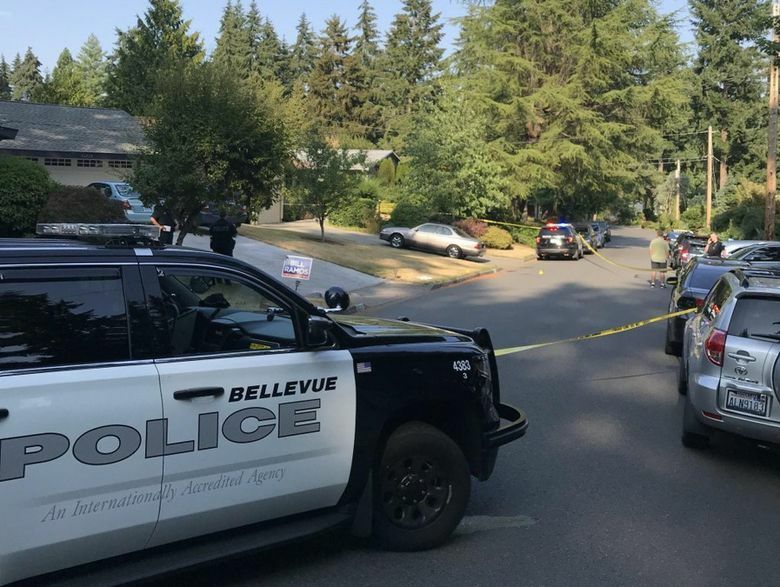 Officers arrested a 40-year-old woman who had been staying with them as she tried to leave the scene, said Bellevue police information officer Seth Tyler. “For some reason, today she brutally attacked the victims with a knife and attempted to burn down the home,” Tyler said. However, some neighbors had the impression the woman had been staying in the couple’s garage. He said the woman is not related to the couple. He noted, as he had earlier, there is tent in the backyard. Police were alerted about 5 p.m. Saturday when the female victim managed to flee the knife attack to the house next door, where her neighbor called 911. Blood stains were visible afterward on the threshold of the neighbor’s garage. Responding to the 911 call, police arrived within two minutes at the home in the 16200 block of Southeast 31st Street in the Spiritridge neighborhood. They found the female victim bleeding in the street and her husband in the house, both with multiple stab wounds. Officers applied tourniquets and first aid. They also found and put out several small fires inside the home. Lovelynn Imani, a neighbor across the street, said she had seen the woman in recent days walking a dog and that the couple seemed to have made space for her to stay in their garage. Imani said the woman did not fit easily into the sleepy neighborhood. “You could tell she had a hard life,” she said. Tyler said detectives Saturday night were preparing to interview the woman and had a preliminary interview with the injured husband. They did not know of any motive, Tyler said, or whether drugs or alcohol may have been a factor.